Hiroko Murabayashi moved to Columbus, Ind. from Japan in August with her husband and two kids. They came for her husband’s job at Enkei, a Japanese wheel company with a branch in Columbus. Her children, Yoki, 9, and Rico, 7, attend Southside Elementary school in the Bartholomew County School Corporation and receive English language services. When they started the year they didn’t speak any English. This growing population comes to Indiana from all over the world. The new Hoosiers bring more than 200 languages into schools. International companies in Columbus are attracting families from a handful of different countries, including Japan, India and China. And while the majority of the district’s English Learners are native Spanish speakers, traditionally the largest population of EL students in Columbus, the second biggest group is Japanese students. “There have been more Japanese students every year,” says English Learner teacher Tony Butiste. He says the number of Japanese students he teaches increased the most over the last three years. The district now teaches 84 Japanese-speaking students. And with a growing number of students from one country, the school district is realizing they must adapt to help educate these students properly. 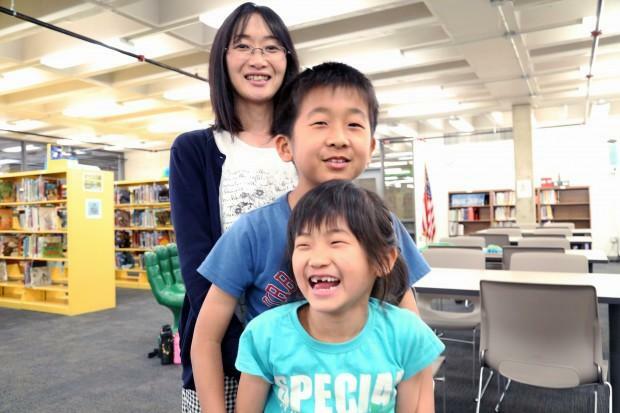 Nine-year-old Yoki Murabayashi and his seven-year-old sister Rico, are almost done with their first school year at Southside Elementary School, and it’s been a school year full of change. Yoki and Rico moved to Columbus in August, after their dad was transferred to the Columbus branch of Enkei, a Japanese wheel company. Hiroko Murabayashi, Yoki and Rico’s mother, was very nervous when she enrolled them in school. “They didn’t know anything, even the alphabet,” Hiroko says through a volunteer translator. At first, that adjustment was tough for the whole family, including seven-year-old Rico. Hiroko recalls one time when her husband was out of town for work, she got sick and couldn’t get out of bed. Eventually there wasn’t any food in the house. So rather than sending the kids down to the store, they had to wait for a friend to find out Hiroko was sick and bring the family dinner. But besides adjusting to the cultural differences between Japan and Indiana, the biggest challenge for the family has been learning English. In Tony Butiste’s third grade group of English learners, there are 15 students who speak six different languages. Besides Japanese, students speak Spanish, Portuguese, Hebrew, Marait and Temil. Southside Elementary, the school the Murayabashi’s go to, has the biggest population of Japanese students in the district. But for Butiste, the school’s one certified English language teacher, there are more than just Japanese speaking students he teaches. And with kids coming from so many different backgrounds, he can only do so much to give EL students individual attention. “We’re trying to find that balance of where we can do the most good and see the most kids,” Butiste says. This is something that worried Hiroko when the kids first started going to school. She says she expected more one-on-one attention for the kids. 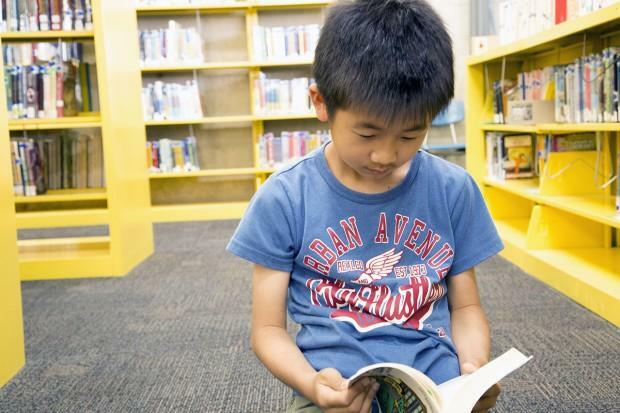 Denise Recarte runs the English learning program in the district and says as the population of Japanese kids grows, the district realizes they need to figure out how to make these families feel more comfortable in the schools. This is something the district already does for their Spanish speaking families. “For our Hispanic population, we have several employees that are just dedicated to interpreting for parent conferences and translating documents,” Recarte says. But nothing like that exists for Japanese families, and Recarte says they hope to change this. She wants to put a Japanese speaking person in the front office at Southside, but building it into the budget could be tricky, since resources allocated for English learners are never enough.